A deadly menace throughout the galaxy. 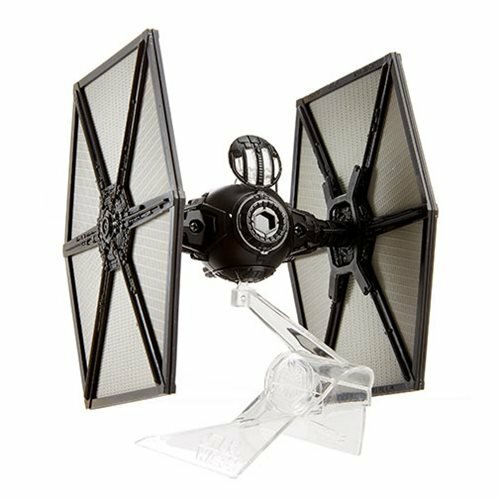 This First Order TIE fighter is expertly crafted in die-cast metal. Based on Star Wars: The Force Awakens. Included are an opening cockpit and a display stand! 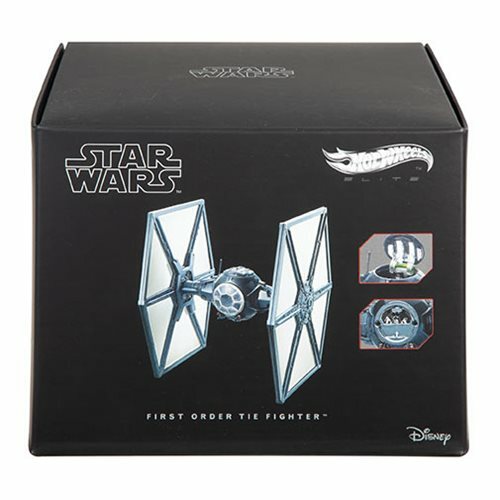 This die-cast metal Star Wars: The Force Awakens First Order TIE Fighter Hot Wheels Elite Vehicle is based on Star Wars: The Force Awakens. The replica is expertly crafted with an opening cockpit hatch with a non-removable First Order pilot figure, and comes with a display stand. It measures 6-inches tall x 3 1/2-inches wide x 3 1/2-inches long. Ages 14 and up. 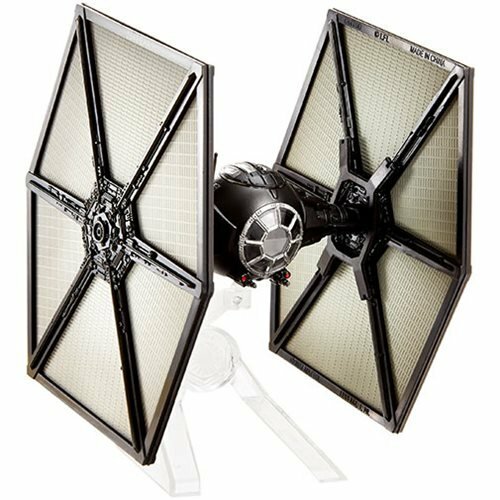 The First Order TIE fighter is reminiscent of the older Imperial version but features an intimidating black exterior and red running lights. 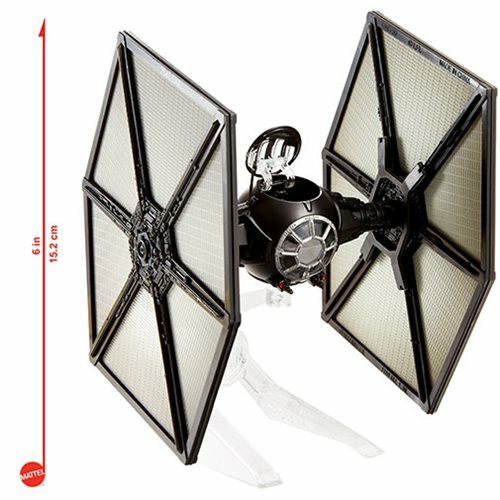 The upgraded design paired with its infamous speed and maneuverability ensure the TIE fighter's reputation as a deadly menace throughout the galaxy.